Once again, chatter regarding Apple’s plans to reboot its famed MobileMe service is sweeping the web, with a more recent report claiming that the superpower will unleash its new-fangled offering sometime in April. Although previous rumors have suggested it would be revealed at a special iOS 5 event in the coming months, its looking more and more like MobileMe will be reinvented sooner rather than later. iLounge says that they have received word from a “trusted source” who has reported that the tech supplier at the educational institute, where the source works, has said Apple is no longer offering paid-for MobileMe subscriptions. Students are being told to instead opt for the free 60 day trial package because a newer version will be launching “next month”. What’s more, the anonymous source says that the current iteration of MobileMe will be supported for at least another year. While that may seem like a standard offering, this information points to the upgrade being a significant shift from the current iteration — previous users may need to sign up all over again for the service if they wish to continue using it. 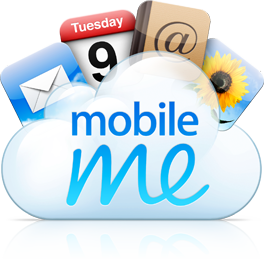 Previous chatter has suggested MobileMe will be gratis, offering a digital locker for stashing music, movies and files. Some enthusiasts have even claimed that each user will be assigned a personal website, with live video streaming, status updates, and other features unique to numerous social networks.